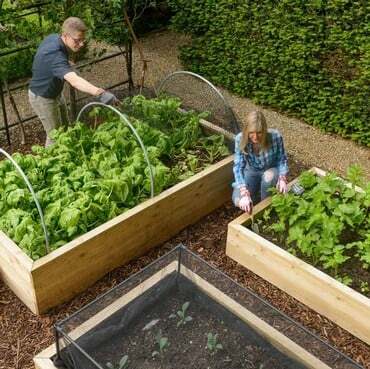 Top 10 Benefits of Growing Your Own Veg in Raised Beds! 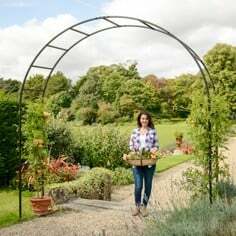 10 - Easy to Position - they can be located in the ideal position for good levels of sunshine, shade and shelter and can be close to the house for easy access – you can even position them on the patio or deck. 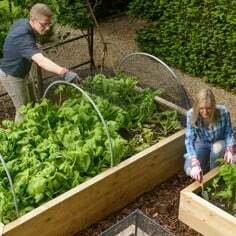 9 - Easy Access – raised beds give you easy access to all your plants and you can usually walk all around the beds to easily tend to your plants. 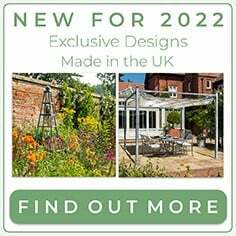 No more clambering over crowded plots. 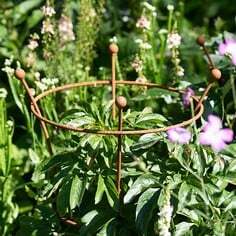 8 - Height – this is very appealing to the gardener, as the beds require less bending reducing back strain and no more clambering over flower beds to tend to your plants. 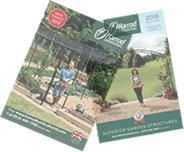 7 - Flexibility – different sizes and heights can be used for different crops, with deeper beds ideal for root crops and shallower beds more suited to herbs and salads. 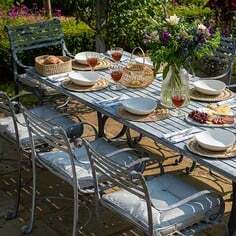 6 - Pest Control – as the beds are ‘raised’ this makes them less prone to pest attack. Of course they are not immune, but are easier to protect and better positioned to succeed. 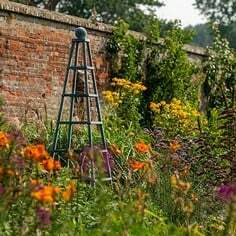 5 - Easy to Water –Watering cans can be used without having to bend into awkward positions and you can also use soaker hoses or irrigation kits for easy management of your watering. Add in a watering timer and you can have reliable, consistent watering even when on holiday. 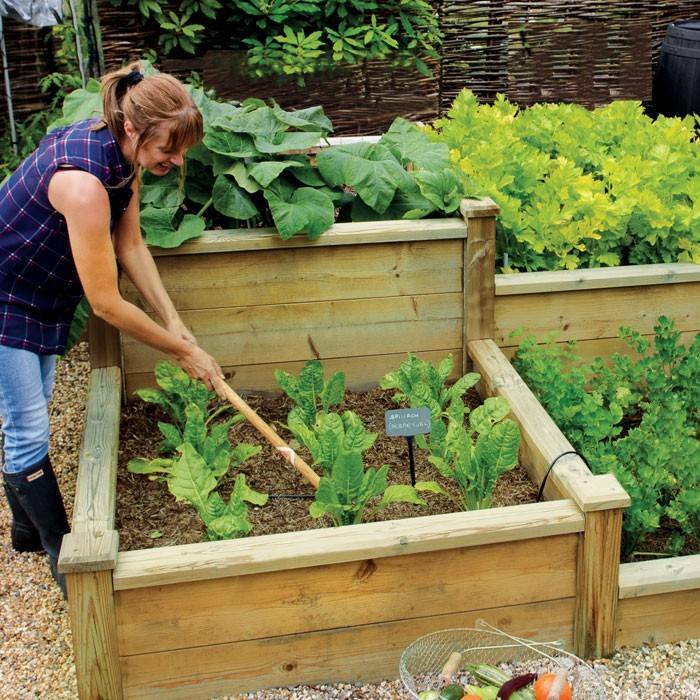 4 - Good Drainage – raised beds drain more easily than vegetable plots, grow bags and pots. Overwatering is less of an issue and you’ll get a better amount of moisture throughout the bed to encourage perfect growth. 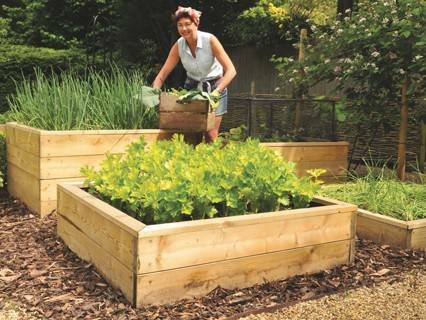 3 - Loose Soil – raised beds don’t suffer from soil compaction in the same way as traditional plots as people, animals and birds are not regularly treading on the beds. This looser soil encourages easier growth and also makes ongoing maintenance easier as there is less need to re-dig loosen the soil. 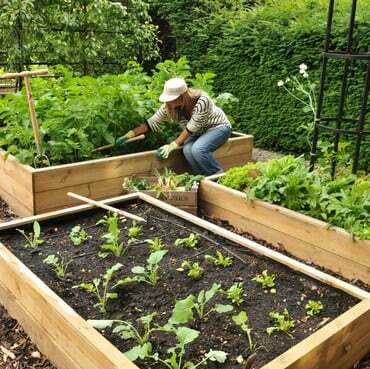 2 - Warmth – soil in raised beds tends to warm earlier and for longer periods than plots at ground level. They get more sun and retain more heat without dispersing it to surrounding areas. 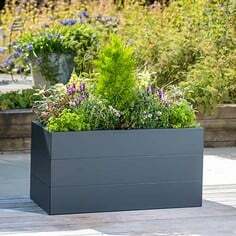 The wood and protective lining surrounding the soil help retain and maintain the heat, encouraging better plant growth. 1 - They Look Good! 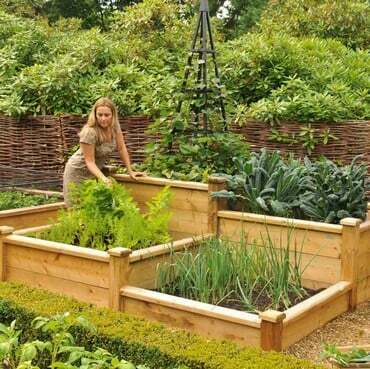 Discover more about Raised Beds and how to get the most out of your garden with Harrod Horticultural.